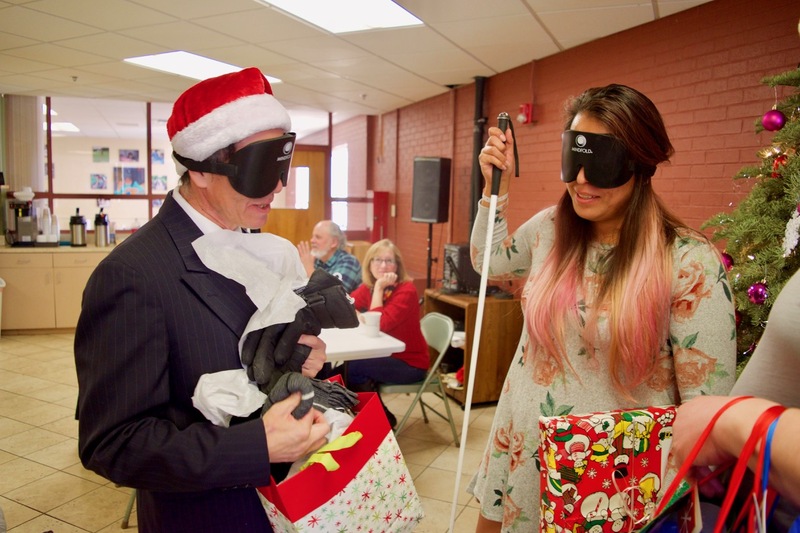 The Colorado Center for the Blind students, staff and seniors were deep into the holiday spirit for the final three weeks before the holiday break. We all wish the happiest of holidays to all in our CCB family! 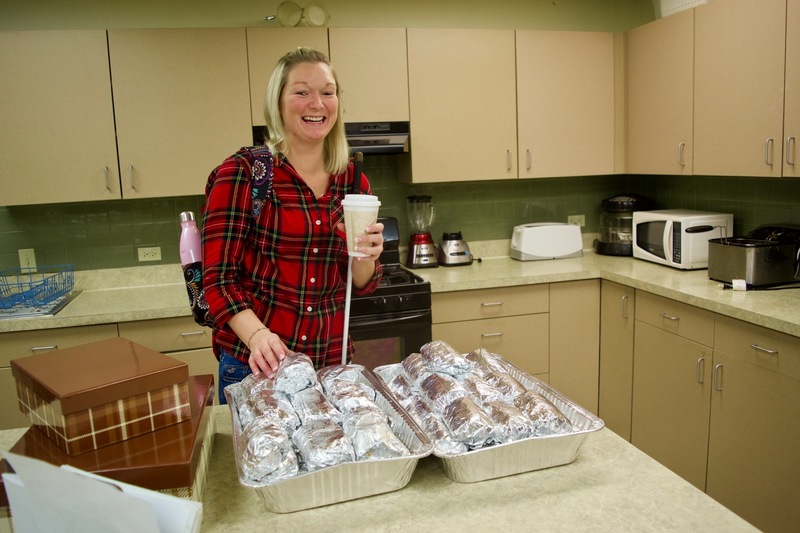 Even as this was being written, our Martial Arts teacher from ATA Karate Denver, Rachel, delivered a box of cookies and home-baked breads for everyone! She nearly had to remind everyone that those martial arts moves she taught them were for self-defense, not for fighting your way to the front of the line. 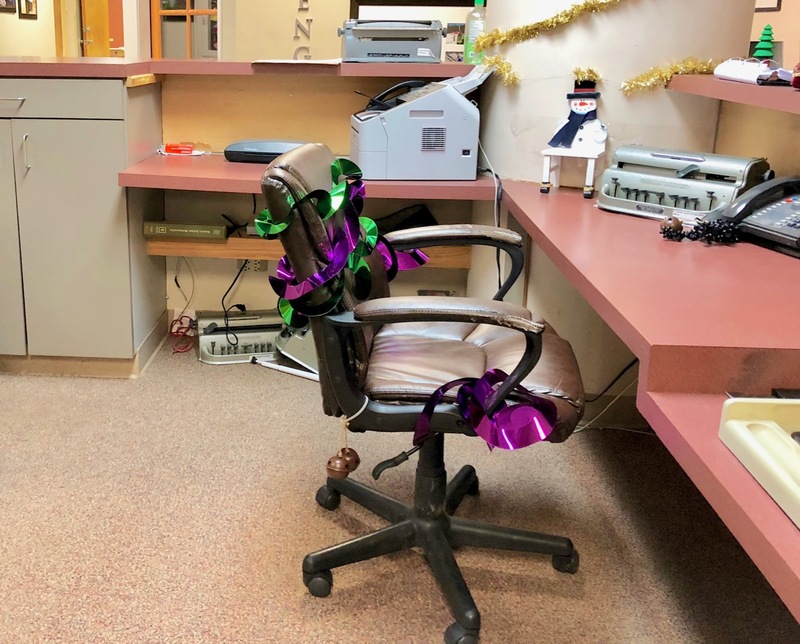 Last Friday afternoon we delivered cookies and such to the City of Littleton Police , City Manager, Economic Development and Public Works offices. Another group headed north on Federal Blvd. to the Federico F. Pena Clinic to drop off some more treats. Our students have been using the Pena Clinic this year for all the standard reasons – colds, flu, etc. Secret Santas served up stealth and sweets for the past three weeks. 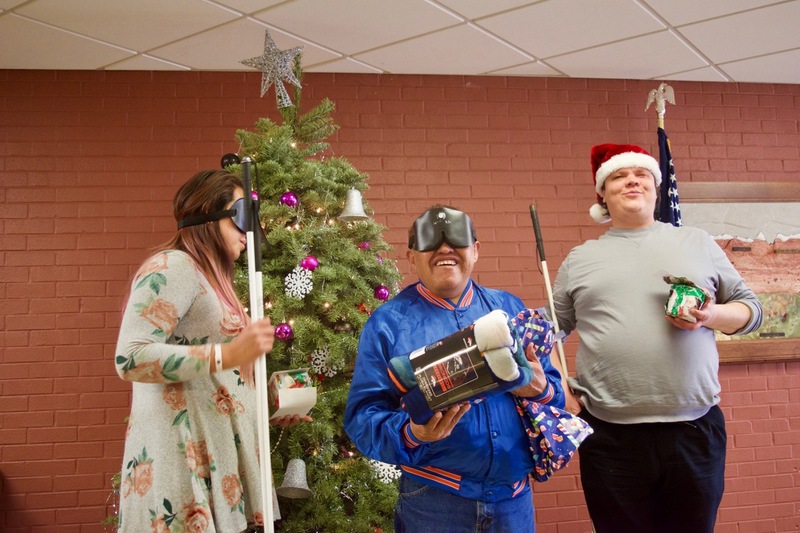 Every day brought new surprises to someone at the Center – candy, cookies or an ornament. And in the center of the flurry was our own Ironic Elf, Robert Dyson. The culmination was Wednesday, our final day before the break. 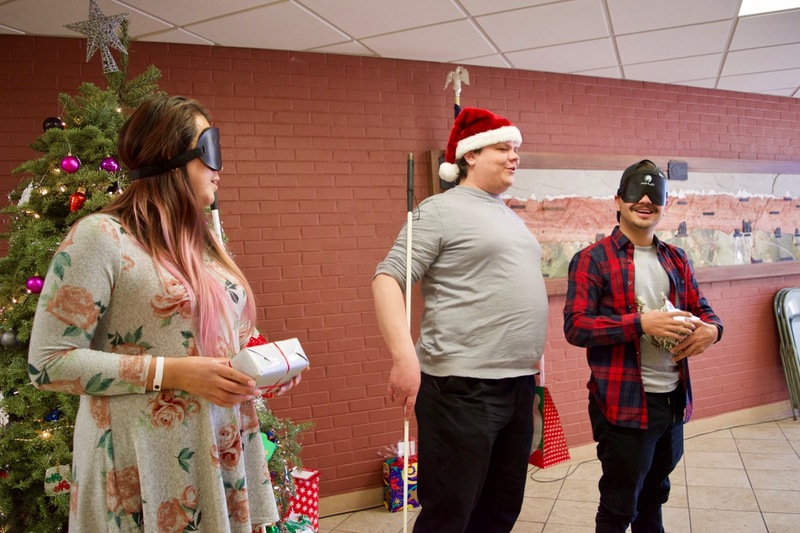 That’s when we gathered for awesome breakfast burritos from Littleton’s own GraceFull Community Cafe, and the final gifts were distributed from under the tree. This year, Brett and Mayra were the morning’s Santas. 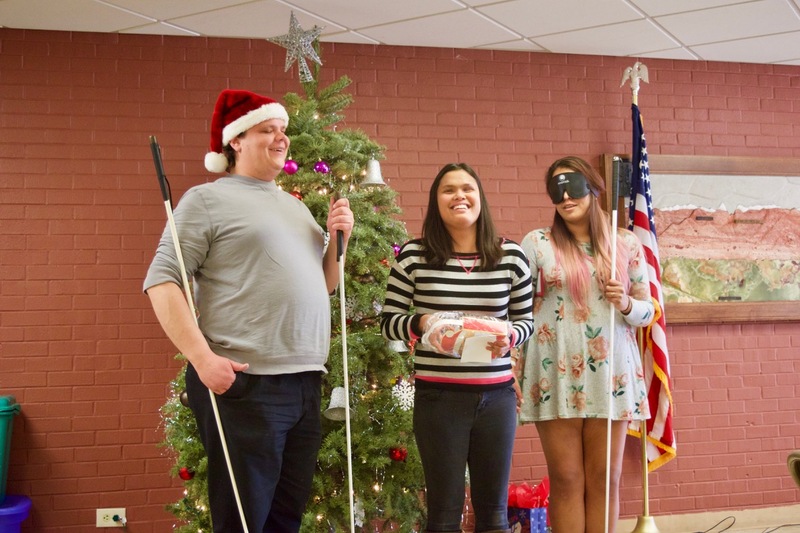 Recipients make up to three guesses about the identity of their Secret Santa. By tradition, Julie Deden warns that anyone who fails to guess after three tries forfeits their final gift to her. Of course, that never happens, but this year it seemed like there was a higher percentage of correct guesses. By the way, we have five graduations since Thanksgiving: Kirk and Brad last week, Faye the week before, and the week before that Annette and Abdi graduated. Finally, motivated by Littleton Mayor Debbie Brinkman’s call to help, students and staff collected $308.00 to assist the residents of the Windermere Apartments in Littleton, who have all been displaced because of a November 17 fire. The CCB Student Association gave $150.00 and the rest was collected from individuals. 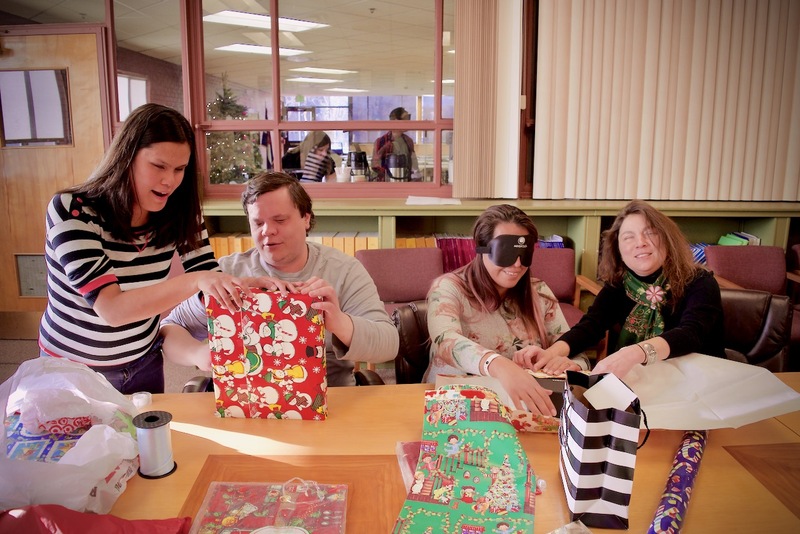 As our students prepared to leave Littleton to return to their own homes elsewhere, the thought of our neighbors being displaced from their homes for the holidays touched a chord. Donations can be made through three groups at this link. Along with the money, our thoughts and prayers go out to the Windermere residents this holiday season! Students will start back on January 4. Happy Holidays all!